For those who want to change the world through Powerpoint, there are some fundamental beliefs about Education. Like, education is about 'human capital', making the individuals receiving education economically productive. And, that, education is important for national competitiveness, the better educated its people are, the more competitive a nation will be. That education is really about skills - being able to do things - rather than learning: Knowledge can be acquired on-demand and at leisure. That educators should build close connections with employers and look to align themselves with their future talent needs. These are ideas everyone - at least everyone who count - agree on. And, such agreement means that all the attention, along with all the money, gets diverted to certain specific things. And, with money and attention, a certain kind of education - a specific idea of education - becomes pre-eminent. It crowds out other ideas, drives out all the alternatives. This 'hegemonic' idea is that a poor country needs technical education. Everyone should be technically educated: If you want to figure out if a country has any future, the question to ask is how many millions of Engineers they produce every year. Such a model of education should have fabulous benefits: Because the education is directly linked to a job, it should be easy to privately fund (with a student loan mechanism, if needed) education, reducing the burdens on the exchequer. Private funding flows into education, as it is so easy to establish the pay-off in education. With technically trained manpower, employers find it easy to compete. With abundant skilled workers, the country becomes an attractive investment destination. This raises wages and taxes, resulting in prosperous economy and low-cost government, a Liberal Heaven of sorts. Now, the reality is that there is not a single country where this has taken place, but these ideas are Economists' territory, and Economics is one science where empirical evidence is just real world distortions. Yet, a quick look at history may be useful to separate causes from correlation, and provide a perspective. One good case study of overt focus on Technical Education is the erstwhile USSR. In the impressive 'Education for Decline: Soviet Vocational and Technical Schooling from Kruschev to Gorbachev' (University of Toroto Press,1997, from which I borrowed the title of this post), Dennis Soltys makes the argument that overt emphasis on technical and vocational education, primarily driven by the quest of national competitiveness and economic growth, meant USSR had trained its workforce very narrowly for a generation. Despite near universal literacy level, this meant the workforce was thoroughly unprepared to deal with rapidly shifting economic and technological realities of the 80s, leading a total economic and social collapse. Experiences of United States, the birthplace of the neo-liberal ideas of education, is quite the opposite. The distinctive feature of American Education, from pre-Independence period, was its commitment to broad Liberal Education, which continues to this day. Most of the great US businesses were created, led and peopled by individuals who came through a Liberal Education system, who acquired the necessary technical and business skills through the experience of life and work. The real growth of American technical education can be traced not back to Senator Morrill's landmark bill, which helped create Research Universities more than anything else, but to the economy of the 80s, an economy is relative decline. And, yes, one could point to Silicon Valley, though this is not an appropriate comparison as Silicon Valley draws talent from everywhere. But even then, careful histories of the valley and of its pioneers would highlight the benefits of a broad education rather than undermine it: Most of these people were not Engineers with Business Degrees, given to a technocratic conception of the world; rather, more often, they were counter-culture enthusiasts, drop-outs and artists, outside the mainstream and formulaic thinking, who took to re-imagining naturally and used technology as a tool to get there. It is actually really difficult to imagine Silicon Valley's past from the vantage point of its current, cheap finance fuelled present, but that is precisely the point of getting a historical perspective. And, while such historical reasoning never quite predict the future (because things change and human beings act), it is also interesting to talk about a case study in motion: India. After liberalisation of the economy in the early 1990s (or, neoliberalisation, if you prefer), Indian Higher Education has been transformed following the neo-liberal playbook, as above. 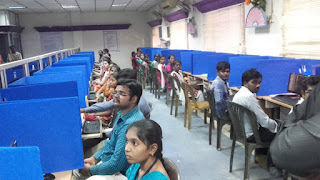 A huge industry of private Engineering colleges produced millions of graduates with an exclusively technical education for the demands of Indian IT Service companies, which employed a couple of million people, mostly in process-based back-office work. The economics of education worked perfectly well: privately funded students attended privately funded colleges and then went to work in private sector; the educational institutions worked closely with employers, teaching the skills most valued by them - obedience, discipline and process orientation; a huge ecosystem of test-prep agencies, English language training companies and re-recruitment screening companies created billion dollar education organisations. All looked rosy and shining for a while, till it all failed. Technologies and business practises changed; companies moved from custom development to platforms and apps; creativity, rather than process orientation, became more desirable. In the face of these changes, Indian companies went to other countries to invest their spare cash to buy innovative and creative companies, to move up the value chain. The Indian Engineering education industry suddenly faced collapse, with only a quarter of their graduates finding jobs and application pools drying up all of a sudden. Suddenly, the talk of 'demographic dividend' turned to, ominously, one of 'demographic disaster', 'jobs crisis' etc. Financial Times reported a bleak picture of India's small towns, where the lack of opportunity and disappointed youth is remaking the politics, to one of hatred and bigotry. The Liberal dream has turned sour. India's case is instructive, and yet, other countries are following the path. Liberal Education is seen as a luxury, to be indulged in when the country is rich enough to think philosophically and study history. It did not matter that the United States, the greatest example of a society and economy transformed by education, did so through a broad Liberal Education. It doesn't matter that all other models have really failed.What matters is that the Liberal Education may make people ask questions. It does not matter questions one need to ask when economies and societies are changing rapidly. The theory goes, the questions must be in safe hands of the elite. That is the motto of the Education, then: That curiosity should be controlled! As we know, that's a sure recipe for an education for decline.